After a little bit of research and a lot of suggestions, I've come up with my menu for Easter Brunch. If I were a blogger without a full-time job, 2 labs to feed and exercise, a wedding dress to fit into in 2 months, or a fiance who works and travels more than Santa and his elves combined, I'd actually make each dish ahead of time, tweak the recipe if needed, photograph it, edit the pictures, and post about each dish individually. Since all the things I mentioned above do, in fact, apply to me, this post is what you get. And I think it's pretty damn good, if I do say so myself. Here is the brunch menu I'll be preparing in a few weeks time. I think it's manageable, with a lot of prep work that can be done ahead of time, as well as fairly hands-off cook times leading up to the main event that morning. My only concern is scheduling my oven time because I can't fit everything in there at once. But I'm sure I'll figure it out! If not, we'll just course it out in a way that makes sense. 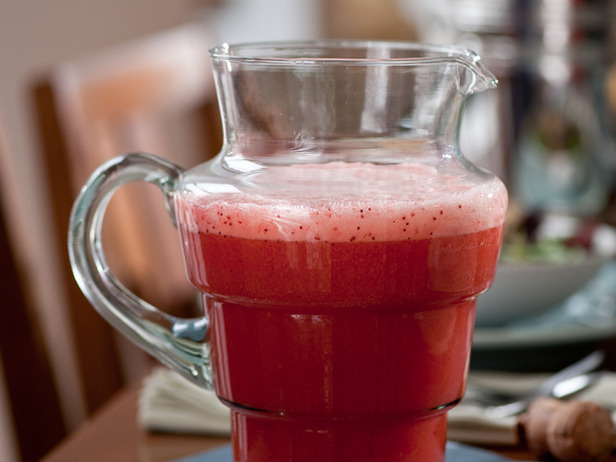 Drink: Fresh Strawberry Bellini from Mario Batali of Food Network. I'm so excited to try this remix of the classic Bellini, made of two of my favorite things - fresh strawberries and prosecco. 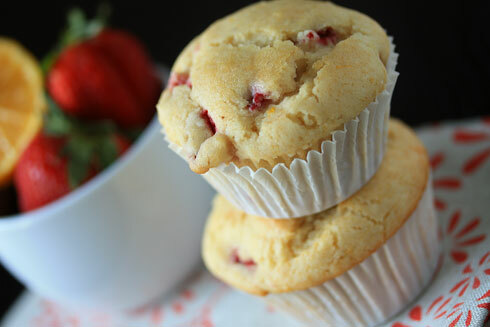 Bread: Meyer Lemon Strawberry Muffins from Jamie over at 'My Baking Addiction'. This will be my first time working with Meyer lemons, and I'm terribly excited. They're a cross between a lemon and a tangerine, which adds a little sweetness to the tartness. Main: Asparagus and Smoked Salmon Frittata from Emeril Lagasse of Food Network, which I may or may not bake in jumbo muffin tins to make individual frittatas (especially if it cuts oven time). I have to sneak smoked salmon into a brunch somewhere - I love it. I think it will pair beautifully with some fresh spring asparagus. Main: French Toast Strata with Sausage from my girl Martha. A great sweet and savory combo that I threw in there to please The Stallion. It'll be his favorite dish, guaranteed. 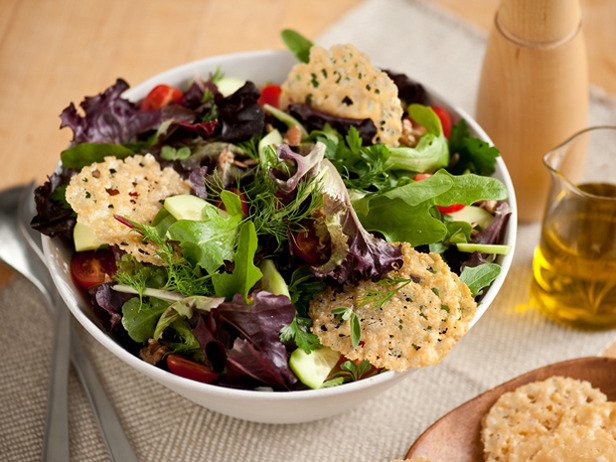 Side: Mixed Green Salad with Parmigiano Crisps from Anne Burrell of Food Network. I love her. Did you see her on Chopped All-Stars/Masters/whatever-they-copied-from-Bravo? She was great. 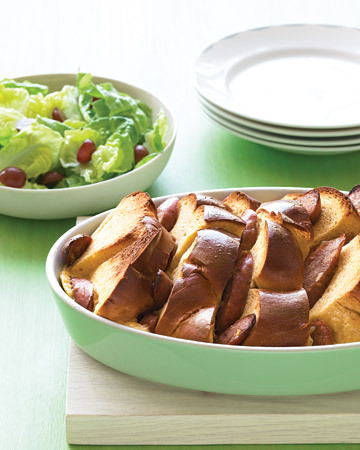 This salad will be a welcomed, refreshing dish among so many heavier ones. 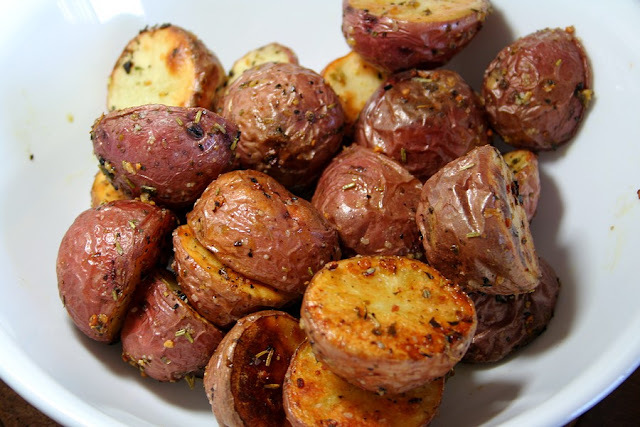 Side: Herb-Roasted Potatoes from my homie Tyler Florence of Food Network. Simple and satisfying. Dessert! 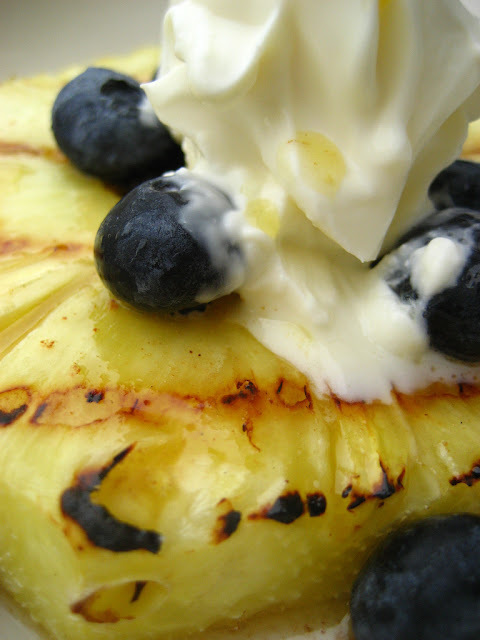 : Rum Buttered Grilled Glazed Pineapple with Vanilla Scented Mascarpone from the grillmaster himself, Bobby Flay of Food Network. I think he had a rough time naming this one. So, that's it. I'm pretty gosh darn excited. This will also (fingers crossed) be the debut of our new patio set. It's about time we enjoy our deck. Will us some perfect weather, will ya?